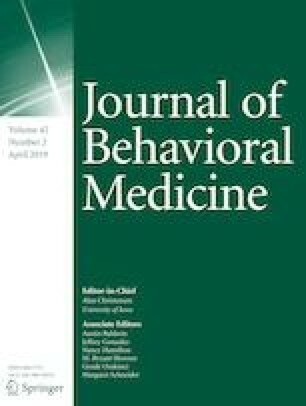 To examine the relationship between food cravings and food addiction as defined by the Yale Food Addiction Scale (YFAS) and to assess the effects of these variables on weight loss during a 14-week group lifestyle modification program. Data were from 178 participants who were prescribed a 1000–1200 kcal/day portion-controlled diet and provided with weekly group lifestyle modification sessions. Participants completed the Food Craving Inventory and YFAS pre- and post-treatment. Weight was measured weekly. Participants with YFAS-defined food addiction (6.7%) reported more frequent overall food cravings relative to those without food addiction. More frequent food cravings at baseline were associated with less weight loss over the 14 weeks. Analyzed categorically, participants in the highest tertile of baseline food cravings lost 7.6 ± 0.5% of initial weight, which was significantly less compared to those in the lowest tertile who lost 9.1 ± 0.5%. Percent weight loss did not differ significantly between participants with YFAS-defined food addiction (6.5 ± 1.2%) and those who did not meet criteria (8.6 ± 0.3%). Addictive-like eating behaviors significantly declined from pre- to post-treatment. Participants with frequent food cravings lost less weight than their peers. Targeted interventions for food cravings could improve weight loss in these individuals. Few participants met YFAS-defined criteria for food addiction. Addictive-like eating behaviors tended to decline during behavioral weight loss, but neither baseline nor change in YFAS scores predicted weight loss. AMC was supported by a Ruth L. Kirschstein National Research Service Award postdoctoral fellowship from the National Institute of Nursing Research/National Institutes of Health #T32NR007100. Support was also provided by an investigator-initiated grant from Eisai Pharmaceuticals and from HMR Weight Management Services Corp, Boston, MA (TAW). These funders had no role in the current study design or the collection, analysis, or interpretation of data, writing the manuscript or the decision to submit the manuscript for publication. Thomas A. Wadden reports receiving personal fees for serving on advisory boards for Novo Nordisk, and Weight Watchers and has received grant support on behalf of the University of Pennsylvania from Eisai Pharmaceutical and Novo Nordisk. Thomas A. Wadden and Ariana M. Chao have received grant support on behalf of the University of Pennsylvania from Shire Pharmaceuticals. Jena Shaw Tronieri discloses serving as a consultant for Novo Nordisk. Rebecca L. Pearl discloses serving as a consultant for Weight Watchers. Naji Alamuddin, Zayna M. Bakizada, Emilie Pinkasavage, Sharon M. Leonard, Nasreen Alfaris, Robert I. Berkowitz declare no conflicts of interest.